would this work in Maya 2018? amazing and very usefull scripts!! especialy the "Regularize" ones!! These are a great set of scripts, thanks to the original dev! It would be nice to know what this does before spending the time to download, install, and play with it. This is very cool! :) very usefull tools. Thanks! What new in this version? 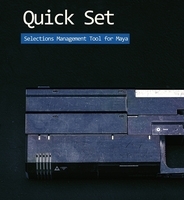 Support Maya 2014?